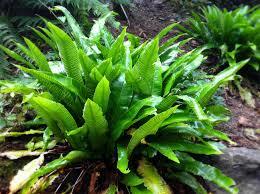 The Hart’s Tongue Fern has an unusual almost tropical appearance, with wide leathery green fronds that are strap shaped and evergreen.Plants form a low clump, best suited to a moist woodland garden in full shade. Categories: A-D, Autumn, Featured Plants, Plants A-Z, Plants by Season, Plants In Situ, Spring, Summer, The Bog Garden and Bank, The Cool Border, The Cottage Garden, The Dew Pond, The Secret Garden, The Spinney Walk, The Woodland Walk, Winter. A rather lovely, evergreen fern that is both eye catching and versatile.Each Spring fresh new tongue-like fronds uncurl, creating upright clumps which look super dotted through a woodland floor. It is also valuable for adding vertical interest towards the front of a partially shaded border or for underplanting established trees and shrubs. Once established it will become more tolerant of drier soils. Plants that should be better known!